A small argument about whether the government should be raising taxes broke out at a recent dinner party, quite possibly in response to something I said. Some argued that tax increases were just a terrible idea given that Canadians were already suffering tax fatigue and many were struggling from paycheck to paycheck, not to mention the supposed economic impact depending on which taxes and how much. Others argued that we had for over a decade cut taxes far too much and the wrong taxes at that, creating a structural deficit and depriving government of the resources to respond to the current challenges of climate change, deteriorating environment and infrastructure, an aging population, deepening inequality and declining productivity – take your pick. For them the issue was not whether but which, how much and who pays. And some argued that tax increases were probably a terrible idea but inevitable sooner or later, probably later. The conversation touched on the role of government, declining trust, individualism, maybe the kind of conversation more common these days in the kitchen than in the cabinet or parliament. In any case, what was most striking amidst all the disagreement was the one area of full consensus: a politician would have to be crazy even to consider proposing tax increases on individual Canadians. While I am not sure that I agree that you would have to be nuts, I seem to be in a small minority. So just what is going on here? We seem to have many “no go”areas in Canadian politics – taxes certainly, but Constitutional change, energy policy, maybe even health care reform seem also to be taboo. More than one pundit has worried about our failure to face these issues and wondered what it is about us that limits what we are willing to debate publicly. How can we hope to shift direction or begin to meet the great challenges if this particular brand of political correctness takes the most difficult issues off the table? But Canada is clearly not alone here. In fact, this question of how to expand the range of permissible political ideas was a preoccupation of the late Joseph Overton in the nineties when he was with the Mackinac Center for Public Policy, a free market think tank in the U.S.
Overton’s concern was why some of the libertarian policies he and his colleagues subscribed to were regarded as on the fringe or over the top. The question, “why are good ideas (good to him, that is) sometimes treated as just plain crazy” inspired his theory of “the window of political possibility”, renamed after his death, “the Overton Window“. People, the theory goes, are typically open to only a very limited range or window of issues and options, and they don’t just disagree with ideas outside this frame, they find them outlandish, radical, foolish or “unthinkable”. And of course any politician pursuing such ideas is likely to pay a heavy price — so mostly they don’t. Of course, what’s in the window isn’t static. The competition of ideas and interests is ongoing, often in the background, and what is acceptable – or crazy – shifts over time, but within limits and slowly. And in this competition, the wealthy and powerful always have advantage – though just how much varies. 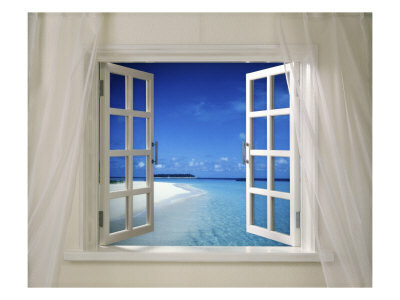 As well, the government of the day always has an advantage as they can move the window through concrete actions. But, again, such change is inevitably slow especially if it seeks to go against the tide. Governments only very rarely undertake game-changing initiatives such as Constitutional Patriation or Free Trade. Some political leaders may sometimes be able to open the window to new ideas by virtue of their charisma or courage or some combination – but this is rare, the risks high — and more than one political theorist has cautioned that it is safer and more enduring to go for the great idea than the great leader. In any case, no leader can do this alone either from within government or from the opposition. And if they try and fail it may become even more difficult to gain acceptance for their ideas – witness the Green Shift. More often, then, big change comes in small steps. We have seen this with governments of all stripes. We saw this with the freedom to marry, also a reminder of the important leveling role of the courts. Overton and his colleagues were interested in how to change the public receptivity to ideas, how to create more room for politicians to talk about and act on the previously unspeakable. They understood not only that most big ideas originate outside of government but also that the room needed for politicians to tackle these ideas is also created outside of government. This work was part of a broader decades-long movement of free-market neoliberals and social conservatives trying to counter what they perceived to be the prevailing liberal bias in U.S. political culture. George Lakoff tracks this movement back to the seventies and an influential memo written by Supreme Court Justice Lewis Powell to the National Chamber of Commerce. Powell expressed alarm at how students, angry about the Vietnam War, were becoming dangerously anti-business and at how universities had become hot beds of “liberalism” or “worse”. He argued that reversing the tide would need a concerted strategy and considerable investment. Today it is hard to imagine that this was ever a problem. In Canada, one might point to the Calgary “Winds of Change” Conference in 1996 which brought neoliberals, libertarians and social conservatives together to forge an alliance of the Reform and Progressive Conservative Parties. Holding them together was a shared concern about the dominance of the Liberals and their ideas and, while the Conference did not yield a consensus for coalition, it did help create something of a movement with a commitment, similar to their U.S.equivalents, to move the policy agenda, to open Overton’s window. While Overton comes from a particular ideological position, his work and that of his colleagues may be instructive for all of us who want our political leaders debating the real issues and the real options. Lakoff tracks their unmistakable progress over the last few decades with admiration if not envy and equally with concern about the ineffectiveness of his progressive colleagues in communicating their ideas as convincingly. People of the left and right, whatever these words might mean, all want to get their ideas into the public domain and influence the direction of our country. This is as it should be. Canadians benefit from real choices and honest debate. If politics is the art of the possible and most governments manage from the centre, the danger is that difficult options may be excluded from consideration and difficult issues, especially those remote from our experience, global poverty or climate change for example, may be ignored. Democracy is the winner when we expand the range of possibility, enlarge the window and with it our political imagination. Thus, perhaps we can draw some insights, for better and for worse, from the successes of Overton and his colleagues for improving the quality of political discourse and democracy and for making sure that the issues of greatest importance and the competing options for addressing them are in the window. Overton’s solution was deceptively simple: Talking about “unthinkable ideas” publicly, talking about them a lot and well, will gradually open the window and allow political leaders to join the conversation. Actions may speak louder than words – but words can shape which actions are permissible. For example, Overton understood that getting new ideas on the agenda was one of the major impacts of social movements. He and his colleagues understand how historically the fear of socialist movements fueled a lot of the social development that politicians would otherwise not likely have considered. When Powell wrote his memo, the equality movements of the sixties and seventies were having their impact. Today we are seeing a very different kind of energy in the unmistakable clout of the Tea Party. Among the most successful movements for pushing difficult but important ideas are “movement/parties” which compete politically but with a focus on “education” rather than winning. For many decades, the CCF/NDP played that role in Canada, taking the risks and paying the price for advocating controversial policies that mainstream parties wouldn’t otherwise take on. In the nineties in particular, the Reform Party played a similar role though opening the window in a very different direction. But “third” and fourth parties will inevitably shift back and forth between being movements focused on ideas to parties focused on winning or they will disappear or be absorbed. Movements are important for reinvigorating democracy but live off energy that is extremely difficult to control or even predict in the short-term or sustain for the long-term so they tend to wax and wane, come and go. At the same time, we are watching the enormous impact of new social media movements. Who knows what the future of the internet means for social action and the speed of moving ideas and windows. Non-governmental advocacy organizations have historically also played an important role in pushing unpopular issues on the agenda and continue to do so. But even in the best of times those which try to speak for the poor and despised are constrained by their resources and the tension between advocacy and service – and these are not the best of times. In Canada, for example, some decades back, the federal government killed core funding in favour of buying services from these organizations, thus making many less independent and arguably less vocal. The absence of core funding combined with the Revenue Canada rules that restrict advocacy for organizations who wish charitable status has deprived our democracy of important voices. In any case, those who took up Powell’s challenge and their Canadian counterparts focused their energies elsewhere; the real action has been in the world of “think tanks” and the public marketing of political ideas. We have always had think tanks where smart and engaged people explored long-range strategy, writing papers largely for other experts and policy thinkers. But for most of us, the work was obscure and largely inaccessible. But almost immediately after the Powell memo, new think tanks started springing up all over and unlike their often academic predecessors, these new outfits focused on political communications, on persuasion, and, as Lakoff documents, they have become awfully good at it. Which brings us to the second conclusion. Ok, Ok, I know, this is not entirely a novel insight but over the last three decades the amount of investment in self-styled “conservative” think tanks in the U.S. and here in Canada has been staggering. Certainly think tanks come in all political shades but the blue ones not surprisingly have most of the money. They are many, well-financed, and good at what they do. They have also been very successful at getting media attention. Have a look at the work of Thomas Frank on U.S. think tanks, though he is admittedly partisan. In Canada, University of Ottawa’s Paul Saurette, among others, has traced a similar pattern particularly since the Calgary Conference. An ongoing SFU study has found that here too think tanks such as the Fraser Institute and the Manning Centre are more successful than their progressive counterparts at getting media attention. Their reports are treated as news, pretty uncritically as if they were neutral science, often on the front page, and complemented by opinion pieces written by the think tanks themselves. One needn’t even touch the issue of media concentration and bias to understand that the luxury of resources to prepare media-ready copy combined with a huge “media hole” begging to be filled gives the ideas of well-funded think tanks privileged position. Taken together with the revelations about how much Koch brothers money is going into the Tea Party movement, this is at the very least a reminder that the extraordinary level of inequality we are seeing both in the U.S. and here is profoundly threatening to democracy. Overton’s colleagues added another dimension to his ideas the results of which play daily on the Fox network and morning talk radio. Drawing on persuasion theory, and what is called the door-in-the-face technique, it soon became apparent that one could have even greater success in moving ideas into the window by escalating the discourse. By taking ever more extreme positions, even less acceptable than those you wish to promote, and doing so over and over, a new frame or reference point may be set. The ideas you really want to promote start to look moderate in comparison. The window is moved. To take an example that interested Overton himself, if one wanted to legitimize home schooling and school vouchers, why not propose that government get out of the business of education altogether. Suddenly, your proposals seem pretty tame. Simply put, the best way to sell a crazy idea is to propose an even crazier one. Interesting that last year Glen Beck who has become the poster pundit for this approach published a novel entitled Overton’s Window. includes attacking the evidence and those who produce it, creating doubt about just what the problem may be if indeed there is one. We saw this for decades with smoking. We see this now with climate change. In this context, it’s interesting to take note of the attacks by one of our newest think tanks on Statistics Canada’s latest crime report. The barrage of loopy ideas and attack, the constancy, the noise, must at least create doubt, and doubt may be the first step to opening the window for new ideas and probably closing the window for others. If Overton’s original thoughts help us understand how to broaden the window and open debate, his successors don’t want debate so much as victory. The over the top and in your face probably works to change what’s in the window — but it keeps the window narrow, inhibits real debate and therefore hurts the democratic process. So where to? What are the lessons? For starters, there’s a message here for think tanks across the spectrum. As Paul Saurette has urged, it matters what Canadians are thinking and think tanks that want to influence the agenda had better get better at communicating to citizens. Of course, it is harder for those with less money, but we can already see some hopeful signs. There’s a message for media too – stop treating think tank reports as news without context and without some analysis of the data and arguments. For governments, in the long-term, priority number one must be to reduce the level of inequality in Canada – our democracy demands no less. In the short-term, governments need to find some way of leveling the playing field, starting with how they fund research and advocacy. For one thing, they could restore core funding for Non-governmental organizations and change the Revenue Canada rules on advocacy. At the very least, they ought to be defending and strengthening institutions like Statistics Canada and the Parliamentary Budget Office that attempt to rise above the noise and provide Canadians with information untainted by ideology. And finally, for all of us, we ought to be saying “enough” to personal smears and caricatures masquerading as debate and we might also take advantage of some of the new ways to get directly engaged. I didn’t know Beck had a book with that title. Does that mean that he knows exactly what he’s doing? Weird. Anyway, nice post. As usual you’ve tossed-off an enlightened summary of one of those problems that keeps me up at night. Yes, that is the title of his novel published last year and yes that is how I read the implications – and your sleepless nights were one of the inspirations for the post. Beyond weird. Makes one less inclined to write him off as a lucky nutcase. Downright frightening. I just had a thought. I wonder if the introduction of proportional representation (or ranked ballots at the municipal level) would allow for the expansion and/or shifting of the Overton Window at greater or lesser speed? One of the supposed benefits of the ranked ballots at the municipal level is that it forces candidates to open up a wider tent in order to secure second-choice votes. I’m wondering if this would dampen the influence of more radical ideas or if it would allow a broader spectrum of ideas to enter into a single candidate’s platform. Perhaps both simultaneously, i.e. radical ideas would get chopped of the ends but the remaining extremes would get greater airtime. Great thought worthy of some further consideration. I’m new to your blog and it is of course way over my head, but I hope if I keep reading it I’ll get smarter! This post is really interesting and I hope you pursue it. A couple of comments: First, I am dismayed by the inability of Canadian politicians to speak candidly and honestly about important policy issues I don’t know if this is new or if it has always been this way and I’m just waking up to it. Out here in Cape Breton it is plain to see that no one believes either politicians or the press. One expects the crassest of short-term motives in everything, and non-stop spin. Second, I wonder whether it may be easier for conservatives to push their agenda than for others: there must surely be more consensus, and fewer options, around reducing the role of government than there are for those who want government to grapple with complex issues like health care reform, social inequality and so on, where there are a range of approaches many of which are unproven, potentially expensive or disastrous, and all of which are competing with each other. Really good questions Andy, both worth pursuing. On the first, I think that we may have had more of that kind of debate when public trust or even deference was higher or when a charismatic leader was given more room. But I think we often admire the courageous leader more in retrospect than when it is happening. For example, I am often struck with how many Canadians think of Tommy Douglas as something of a political hero and yet how few voted for him when they could. As for whether conservative ideas are an easier sell, I think it depends on political culture and circumstances. So, for example, in an age of rampant individualism or when people are afraid regarding the economy or their security I would say yes. Thanks for joining the discussion. Ah, yes, thank you for the great summary. The shift in the window of late, where taxes as symptomatic of a public good has been taken out of the picture, is, to put it mildly, troubling. When the NDP talks about tax cuts as much as the right, and few able to bring themselves to say, “but without taxes …,” that’s one of the signs of the decline of public-centred policy in this country. Any idea what happened to Lakoff’s Rockridge Institute? There was great hope in the early 90s that they would be developing progressive policy analysis to counter the Project for a New American Century-ists? Sorry some technical snafoo seems to have obliterated my previous response to you so just in case it didn’t get to you: Lakoff’s Institute is still going strong but he complains that the Democrats are not listening much. As always, Professor Himelfarb, your blog provides me with a great deal of food for thought. I have a bit to say in response to this particular entry on the subject of taxes / taxing / and the societal perception of these things. I will begin with one of my favourite quotes. “One of the penalties for refusing to participate in politics is that you end up being governed by your inferiors.” – Aristotle. I have always found it very sad that we live in an age in which we must actively try to convince people on both ends of the power spectrum (the voters/public for image reasons, and the people at the top of the political food chain for operational reasons) of the merit of good ideas and the value of solutions based on common sense and basic causal laws. When “Lets all pay taxes so that we can have a society” is answered with “No! I work hard for my money! Why should I have to give any of it up so that others can benefit!” it shows me that something essential is being lost or ignored in the cognitive and moral processes of our population and leaders. 1) Those who are guilty of having greedy individualistic mindsets and do not wish to participate actively in society or give anything to the whole, but thoroughly expect to reap all of the benefits of being part of that whole even though they do not contribute in any meaningful fashion. These people are often called “Free-Riders” by economists, and when I consider them, the expression “Having your cake and eating it too” comes to mind. They want to take without giving anything back, and the sense of entitlement these people seem to have often astounds me. 2) Those who believe (sometimes very rightly so) that their government is corrupt, inept, or a combination of the two, and cannot properly manage the funds that it takes from the population. I think that these people would be happy to pay taxes if they felt that their money and trust would not be abused by those in power. I think these people are onto something very important, but they need to deepen their understanding of how systems of governance work. 3) Those who lack an understanding of what taxes are, do, and how much it actually costs to build, maintain, and run a coherent society. These people in my experience just parrot back messages for personal / emotional reasons, without any sort of rationality, depth, or intelligent elaboration behind their position. Now, I may not be an economist myself, but I clearly understand the fact that the government itself has no money of its own, and as such, the population must be co-opted into funding governmental initiatives and operation for the good of the society as a whole. This stuff is pretty basic in terms of rational logic, and works very well on paper. Essentially, everyone puts in their lot, the government uses the collective investment to run things, and everyone benefits from the resulting administration of society as a whole. It is my honest opinion that one of the most detrimental side-effects of what I call the “Cult of Individuality” (that we seem to worship here in the west) lies at the heart of the fact that people see no need to invest anything of themselves into society if there is no immediate benefit for them. It bothers me on a very deep level that we must actually spend money, time, and effort in order to CONVINCE people to participate and give to society so that everyone can benefit as a collective whole. I believe that the fault lies almost entirely in the way that we have educated, and continue to educate and condition people to believe that the thing that matters most is to serve oneself and improve one’s own lot, even at the expense of others. Essentially, you reap what you sow, and we as a society have been sowing the seeds of greed, apathy, and individualism for a long while now. When this is the input, the output will clearly be a majority that simply cares for nothing but itself in an individual by individual basis. You raise a lot of issues here (though you seem to be more pessimistic than I) and raise three huge issues – how to rebuild sufficient trust to enable collective action, how tio balance individualism with a greater sense of reciprocal obligation, and the role of imformation and knowledge. All important issues Jonathan. A few months ago, I caught part of an interview on CBC Radio with a Canadian academic – from BC, I believe – who has written about the dramatic changes in the marginal income tax rates for those with high incomes. He was pretty convincing about the link between these changes and the growing inequality in Canadian society. Does anyone know his name? Hi Andy, I don’t but would also like to. Could it have been Neil Brooks, an economist and academic, who just so-authored (with Linda McQuaig) a terrific book on inequality. Thanks, Alex, that’s the one. Don’t know why I thought he was from BC. He is indeed convincing and sets out his tax proposals in the book – well worth the read. Thanks for re-posting Alex. The link betweeen taxes paid and public goods and services are rarely recognized. I heard a friend who used to rail against Sweden as a “high tax country” and now living there, extolling the virtues of the public services received there. I am quoting the song from memory, so it may not be entirely accurate. But I think the point is there. We seem to be, in simple terms, open to new ideas or not. We have been brought up in authoritarian environments or egalitarian environments. And we are all subject to cultural influences experienced in the family and community which shape our attitudes. Before attempts are made to convince people with scientific facts and empirical data, a gentle persuasion must first take place to convince us that the limiting aspects of our personal programming may not be the only way to look at things. Only when that persuasion has been successfully completed can ideas, such as social and economic equity, be discussed rationally. Never wrong to cite Cohen. This post was extremely fun to read; however, I had a couple of issues. First, while Overton’s window was explained really well, I found your dismissal of Canadian politics as being a scared do-nothing endeavor a bit perplexing. Indeed, you mentioned the noteworthy mega-transformations of Free Trade and the constitutional debacles, but you failed to mention a host of other significant discussions in Canadian political history. Second, your overt critique — even going as far as to mention them specifically by name — of perceived right-wing think tanks came off like a waning cry of an entrenched Liberal party supporter. Understandably, those think tanks which have more money than others will surely pop up in the media with greater frequency — this is how business works. However, to discount the work — even going as far as saying they are merely biased mouthpieces — of these more successful think tanks is a mistake. Plus, it should be mentioned that there are numerous think tanks in Canada which pander more to the left wing audience. These think tanks should be seen as beacons of democracy, not the other way around. The fact that Canada has think tanks explaining and pushing their ideas forward — both left and right — on a daily basis can only be a good thing for the consumers of information in this country. Let the information be known, let the consumers come to their own conclusions. Ashton, thanks for the comments. First is all I do not think of our politics as about nothing. Whether we talk about the hotly debated issues such as Free Trade or the Charter or Medicare or the more recent decisions on the freedom to marry or fiscal sovereignty or crime policy changes, much is done for better or worse. What disturbs me is how limited our political imagination is ie our willingness to consider alternatives to conventional wisdom generally is. Clearly governments can make radical change in increments and without debate and I would argue that that is indeed happening but absent debate our democracy is hollowed out, on your second point democracy is always a tension between the ability of money to shape the agenda, the intent to ensure that the majority is heard and the need to protect minorities. That money is able to fund think tanks and other third party mechanisms gives them an advantage they don’t need. Governments should be looking for ways to balance the playing field. In that regard see the last two posts on democracy. The issue is not whether left tanks are better than right tanks but about diversity of views and the I portable of dissent. As for my political beliefs, I am surprised that you draw the conclusion you do. Thanks again for engaging. A very stimulating read. I’ve been discussing with friends about how the conservatives manage to get so many plebs and unwashed to vote for them and, in the long run, against themselves. So distressing, though, to think that they are at such odds with a progressive system that did so much good for so many. What good does it do for the rich to accomplish that? Are they afraid that they’ll lose some of their castles when the gov’t of the day comes knocking for more taxes? Perhaps others would like to hear what you think on that too. If you have any desire to influence politics, the idea of the Overton Window is ESSENTIAL reading.